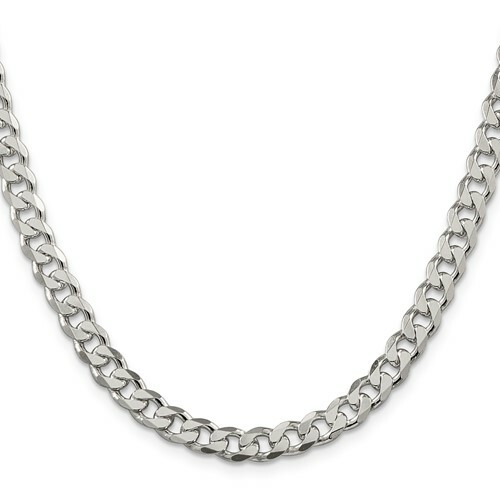 18in Sterling Silver chain. 7mm wide pavé curb chain. Weight:32.9 grams. Lobster clasp.